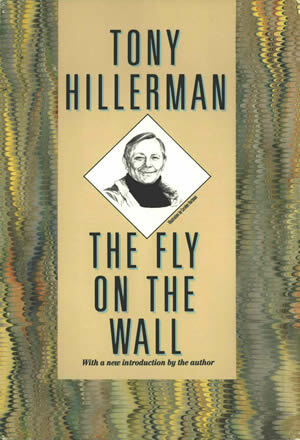 This is the trade version of the Armchair Detective Library hardcover edition of The Fly on the Wall, published in 1990, with a new introduction by Tony Hillerman. Several versions of this edition were published: A Collector Edition, $25; A Limited Edition (100 copies, signed and slipcased), $75; and a trade version with library binding. Binding: Full binding, black cloth-covered boards. On the spine, the book title, a dagger, the author name, and the Armchair Detective Library logo are printed in gold.